In our last blog, we explored how the earliest of cosmetic packaging can be traced to ancient Egypt. 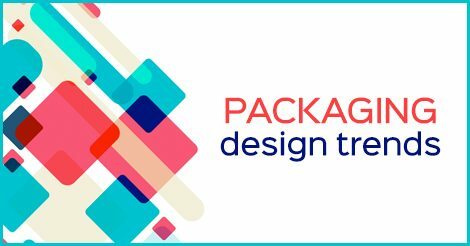 But what are the trends predicted for packaging in upcoming years? As consumers have come to expect product packaging to convey necessary information instantly, brands have started to adapt. As a result, only the most relevant information about the product is dominant in package design, with a careful use of white space and color. As consumer attention spans continue to shrink, it’s becoming more important than ever for designers to relay messaging as clearly and as quickly as possible, especially in packaging. It is expected to see more brands take this to the extreme by using bold fonts and fewer words to get the message across loud and clear. More experimental styles are coming to the forefront with traditional themes taking a back seat. Designers are taking bigger creative risks with innovative and whimsical packaging solutions, testing the limits like never before and pushing packing design into new territories. More and more brands are opting for packaging and packing material with a smaller ecological footprint. The cheapest and most accessible materials, like plastics, are being replaced by biodegradable materials, like paper, hemp, starch and cellulose, and more easily upcycled materials like bamboo and glass. At Liquipak, we serve a wide range of industries to meet their unique needs and those of an ever-changing packaging industry. From pharmaceuticals and cosmetics to household products and industrial lubricants, we’re experienced in helping our customers find the most effective and efficient solution.